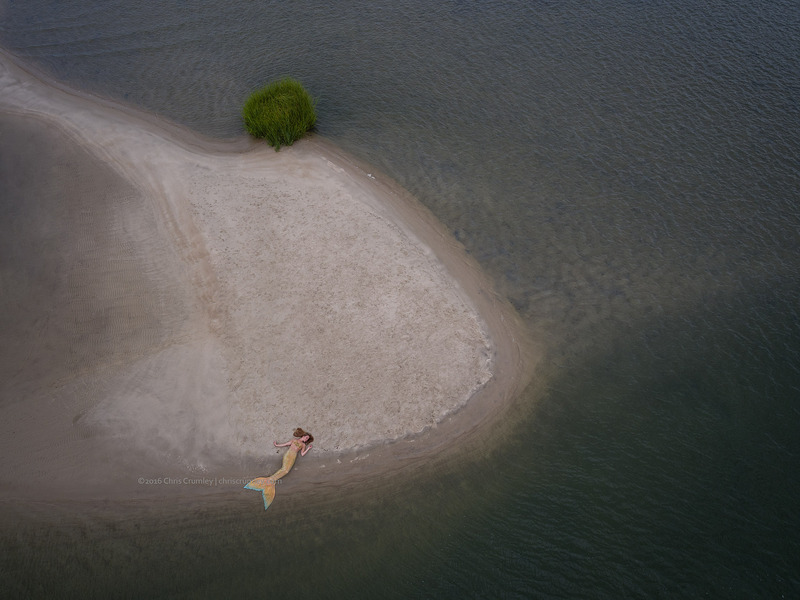 Working with Hales Parcells making a mermaid image near Lynnhaven Inlet, Virginia Beach, VA using the DJI Inspire 1 X5R drone. We shot from varied altitudes, then a Behind-The-Scenes image showing the beach cart for hauling gear, the takeoff/landing pad that keeps sand out of the motors and Hale's transportation (Ocean Kayak Yak Board) to and from the sandbar in the background. Communications between Hales and me for positions and posing via Motorola radios.